Tunbjörk points his lens at the ordinary - the office carpet, the corner desk, the pallid birthday cake under florescent lighting, a spaghetti mass of wires, unoccupied chairs, socked feet, waste paper baskets and filing cabinets...the list goes on. 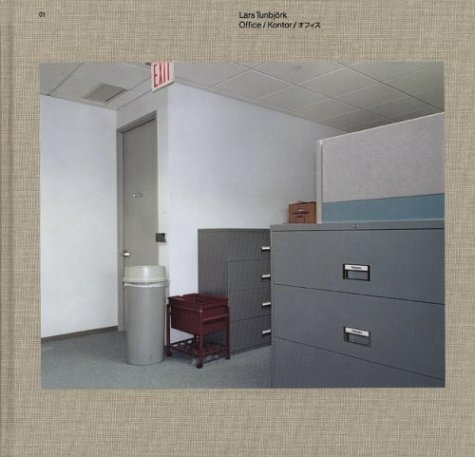 This big book of offices includes Japanese, American and Swedish spaces and the people that occupy them. Two large plates are placed on one spread.